Welcome back! I hope you had a great Thanksgiving weekend, and are stuffed full of turkey, dressing, and blessings! My break went by way too fast, and I didn't get nearly as much done as I'd hoped and it went by way too fast, but Christmas break will be here in a jiff! Anyway, I'm excited to be back, and share more on our time in Seattle, Washington. One of the Seattle area's major industries is is aircraft, thanks to a little company called Boeing. With that, there are many flight and aircraft museums in and around Seattle. Like I've mentioned before, Lovely explored quite a bit on his own since he was there so long for training, one of the places being the Museum of Flight. This museum is located at Boeing Field, just south of Seattle, and is home to one of the largest collections of aircraft in the U.S. The museum also has a Restoration Center in Everett, Washington, just north of Seattle. Along with aircraft, the museum offers exhibits on airspace travel. This Smithsonian affiliate is home to an extensive gallery of small objects, books, manuals, and reports. It is an amazing place to visit for anyone interested in aviation and aerospace travel. 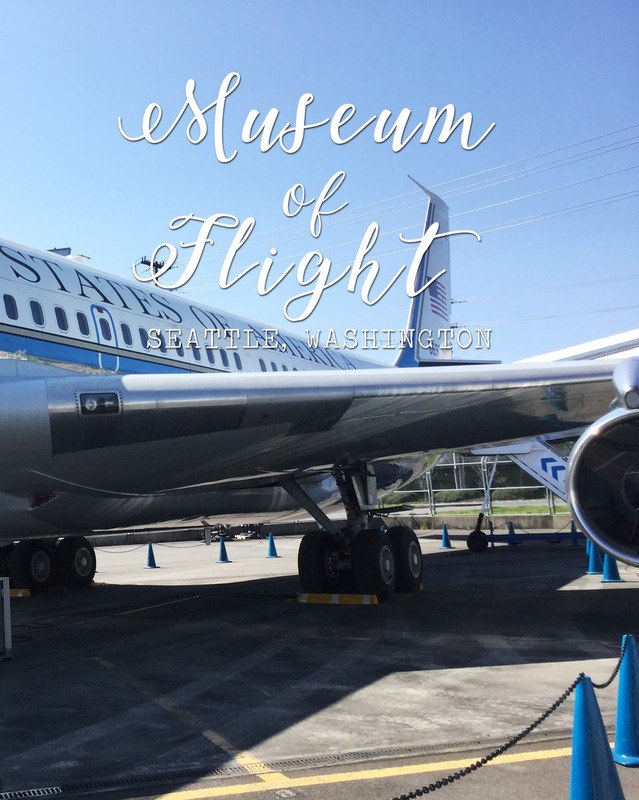 This year is a great time to visit the Museum of Flight, as they are celebrating Boeing's 100th year with a special exhibition. Along with special exhibits, the museum offers seasonal, including Christmas and Summer, celebrations and camps for kids. What would be more fun for a young boy or girl who dreams of being a pilot or astronaut! Explore the Museum of Flight as a family or quietly alone during your trip to Seattle!